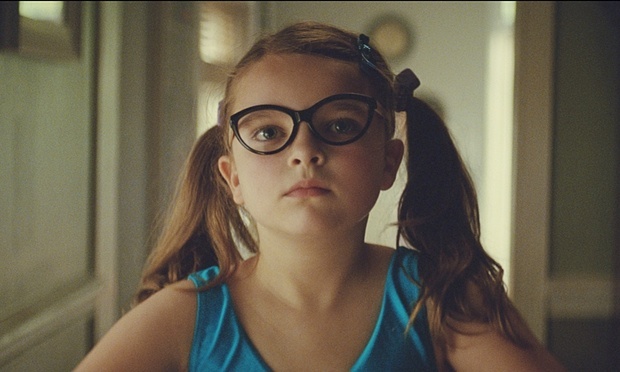 John Lewis’s Tiny Dancer advert was executed with elegance and warmth. Photograph: Adam&Eve. Advertising home insurance isn’t easy. It belongs in the “boring-but-important” category of expenditure. John Lewis focuses on the human value, not the material cost: you’re insuring your home, not your house. And it dramatises the ubiquitous risk of disaster, not its rare occurrence; thereby reinforcing the product’s importance and at the same time keeping us on tenterhooks. It’s all executed with such elegance and warmth: the expressive choreography, the pigtails and glasses, the brother’s look, the teetering vase, one of Elton John’s most moving songs; and the charming Tiny Dancer herself. Perfect. In 2014, Thai Life Insurance ushered in storytelling that really pulled at the heartstrings with their ad Unsung Hero . It’s an effective mechanism in a world of noise. In 2015 they followed up with another story, this time pulling at our heartstrings with the theme that our parents are our superheroes. When you’re watching these ads for the first time, you have no idea what the product is but you get sucked in and by the end, you realise a company’s cultural message can be strong even with products as bland and boring as insurance. If they can do this, why can’t technology companies or non-profits that have powerful missions? This is the best ad of the year because hopefully it will influence other industries to take note and use stories that help entice social sharing because of the underlying message. My favourite ad of 2015 isn’t exactly one advert but 1,000. It doesn’t tell an emotive story, feature fancy production or special effects and you’ve probably never seen it. In fact, I can almost guarantee you didn’t see 999 of the executions. Lexus’s Beyond Utility ad campaign gives us a glimpse of the future of personalised advertising, with a thousand subtly different short animations created and served to millions of consumers based on their individual passion points and interests. Sure the storytelling could be better but as a first step into this new world it’s an eye-opening start. Dove smashed it this year with its Choose Beautiful campaign. Challenging women from around the world to walk between two doorways marked “beautiful” and “average” it received a polarised response. But I loved it for the fact that it was so true to the incredibly simple but powerful insight that many women do not see themselves as beautiful, but did it in a completely different way to previous Dove campaigns such as Real Curves and Real Beauty sketches. If I take my teenage daughter’s strength of response as a barometer then Dove definitely hit the mark. There is a T-Shirt I love. It states: modern art = I could do that + yeah but you didn’t. The very, very best advertising doesn’t have the “I could do that” part. 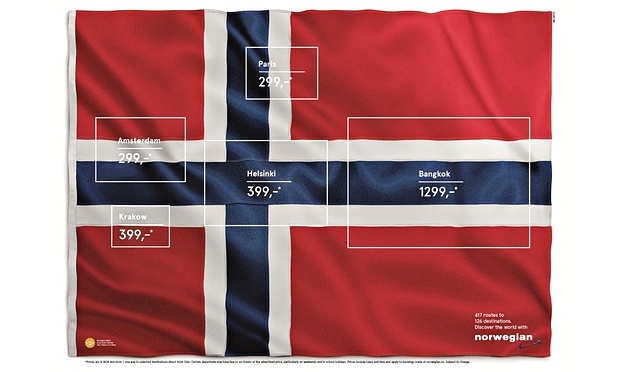 For me, this print ad for Norwegian Airlines is an example of that. The best advertising is a concept so incredible, so rich, so smart, so deep. It’s still on brand, it’s not smart for the sake of it, it’s not ads for ad people, it’s hard working, it gets a pricing message across in a smart way, while building the brand. My favourite ad of the year is also the most viral ad of the year; in fact, the most shared ad of all time. What I like about it is that it is a classic piece of brand advertising created by an ad tech brand. In all of this talk about ad tech interruption and ad blockers and how science is driving out art from advertising, it takes one of the proponents of algorithmic advertising to execute what is a brilliantly crafted, single-minded, adorable film that builds affinity with the brand it promotes. Ad tech plus ad agency working in harmony, “together, but not the same”. It’s rare to find an advert that is part favourite, part arch nemesis, because you cannot get it out of your head. Seriously, I haven’t slept for four months because of this ad. Ribena nailed it for me this year with their new millennial positioning and an integrated creative that was clearly designed with the textbook E4 viewer front of mind. It’s weird (rabbits with sunglasses), it’s compelling (ridiculously addictive soundtrack from Tiger Monkey), and it’s voiced by the guy that played Holly in Red Dwarf. Every inch of this ad is cool – if your idea of cool is hedgehogs with top hats and mine is. Forgetting brand metrics and big data for a moment, if your ad can make people think and talk, you’re doing something right. The surreal is underrated in advertising, but it definitely gets people’s attention and I can’t wait for the sequel. Gender fluidity is not widely seen on TV, so it was refreshing to see the Shiseido High School Girl? commercial showing the issue in loving close-up. The transformation is all done with Shiseido cosmetics, which are used to turn a classroom of schoolboys into schoolgirls. Directed by Sho Yanagisawa, it’s a dream to watch – an audacious concept matched with brilliant camera work, direction, sound design and editing. It’s one of those spots that are so good you seek it out to watch again. My favourite ad of 2015 was the Celebrate the Breaks campaign from KitKat. I love this campaign because it brings together the right moment (break time), a clever play on the word break and a very specific product feature the brand is well known for. Then it incorporates the product itself with the 72 types of breaks featured on the packaging as well as the hashtag #mybreak moulded into the actual chocolate bars. It’s a great example of a total brand experience, bringing together the marketing experience with the product experience, because that’s how we, as regular people, encounter brands. Advertising today has to achieve the right balance of consistency versus speed, being both relevant and cleverly placed. But when a campaign nails this while also inverting damaging historic stereotypes, it becomes a truly worthy endeavour. For me – and countless others – Always Unstoppable smashed it for 2015, with its clear demonstration of how society limits girls. The ad, directed by Lauren Greenfield shows girls breaking up cliché written boxes to underline the frustration these young women feel at being pigeon holed. It’s a powerful call to action with its deservedly angry girls. Not only is Unstoppable a great piece of work in its own right but it manages to build on the previous Always campaign Like A Girl which was widely and justly rewarded. There were lots of great ads in 2015, but for me the most interesting campaign was one done for MTV called White Squad. It was created as a way to advertise a documentary on racial injustice in America and while many found it controversial, I thought it was one of the best social-issue campaigns in recent memory. It’s not often you see a satirical ad about social injustice – especially with so much turmoil in the culture to underscore it. Sure, it may have raised a few hackles when it was released. But after all, isn’t that sort of the point? Keep Britain Tidy’s anti-dog fouling ad is a brilliant example of the application of psychological insights to advertising. The copy is based on experiments by Newcastle University which prove that displaying images of eyes, by making us feel watched, reduces anti-social behaviour. 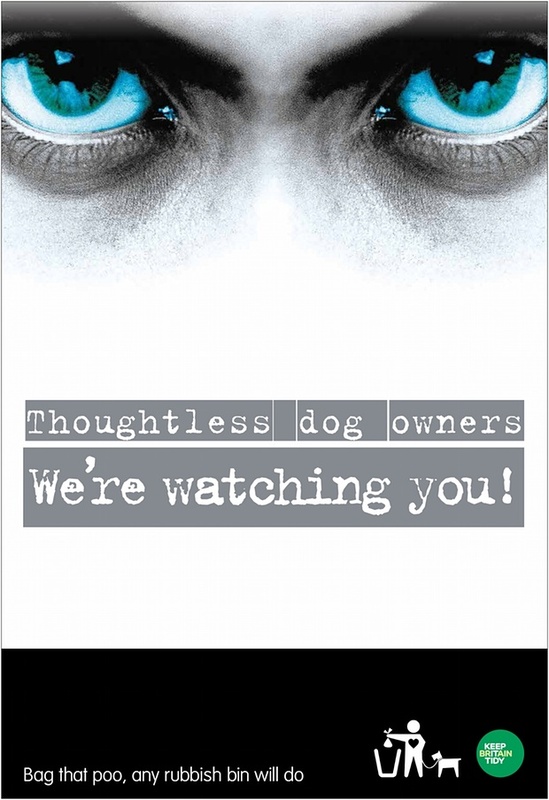 In a clever twist the ad uses eyes that glow in the dark, the very time most dog fouling occurs. Will this ad win any awards? No. Will it change behaviour? Yes. That’s enough to make it my ad of the year. For me the best ads are the ones that engage the viewer by telling a story. The best demonstrate what we call “the end, end-benefit” – the end-benefit being the impact of any one advert on how that brand makes you feel. The Apple ad Music Every Day (2013) is a spot on example of this concept. This year’s John Lewis Christmas advert, Man on the Moon, is one of 2015’s finest. It is visually beautiful, wonderfully cast, and uses storytelling to show us the often lonely existence of the elderly, and the power of connecting. Never heavy handed, it draws the viewer into the film. Imagery powerfully utilised. This year, it’s been exciting to see so many great examples of out of home media using technology and creativity together to create beautiful, emotionally impactful advertising experiences for consumers. A personal favourite was Women’s Aid’s interactive Look at Me campaign. 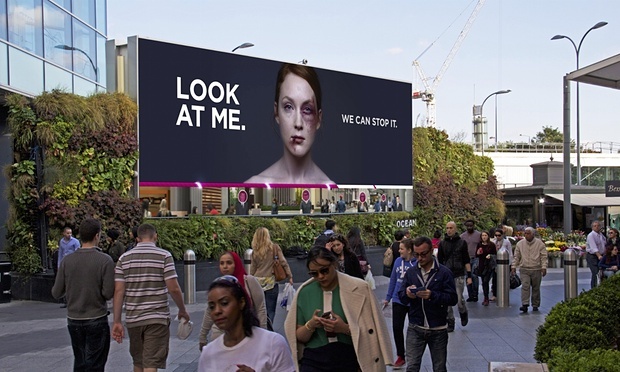 The ad, which showed an image of a bruised woman, used facial tracking software to recognise when passers-by were looking at the screen and would then trigger a live copy change. When people payed attention to the ad, the on-screen bruises would visibly heal, showing how we can all make tangible changes in the fight against domestic violence. Compiled by Adam Davidi for The Guardian Australia.